One of the first things I learned to sew was cloth diapers. I could go off on a tangent here about how great cloth diapers are and how fun they are to make and how much money your family will save by using them, but there are literally hundreds of blogs devoted to that, and I would be beating a dead horse. I'll just link you to a few of my favorites: Rocket Bottoms, a really great source for paid patterns that are wonderful for beginners and well loved in the cloth diapering community, and Arfy's blog, which is great for free templates and patterns to get you started on different types and styles of cloth diaper. You can head down the rabbit hole yourself on those. Over the years, I have picked up TONS of the washable laminated fabric intended for the waterproof exterior of cloth diapers. It's fantastic for it's original use, but also very useful for other applications. Since it tends to be pretty pricey, when I see it on sale, I jump on it. 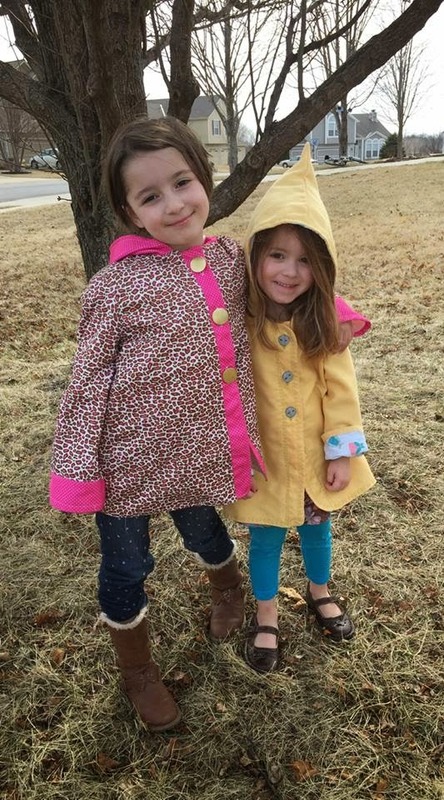 I've made a few super cute little jackets for my girls out of it, and one of this post's Stashbusters is just that. The fabric: For Holly- Babyville brand PUL purchased from the Red Tag section at Jo-Ann and ivory broadcloth I got at a garage sale. For Tessa- knockoff "Donegal Irish Linen" that I bought at the same garage sale that actually ended up being polyester. No good for traditionally linen items, but a perfectly useful jacket outer. Also two prints from Riley Blake's "Happy Ever After" collection that I used last year to decorate the girls' bedroom. I had about a half a yard of each of them, and I thought they would be pretty cute for the lining. The pattern: Pixie Hood Coat by Big Little Patterns. I've had this one for ages and this was the first time I sewed it up. I definitely regret that now! 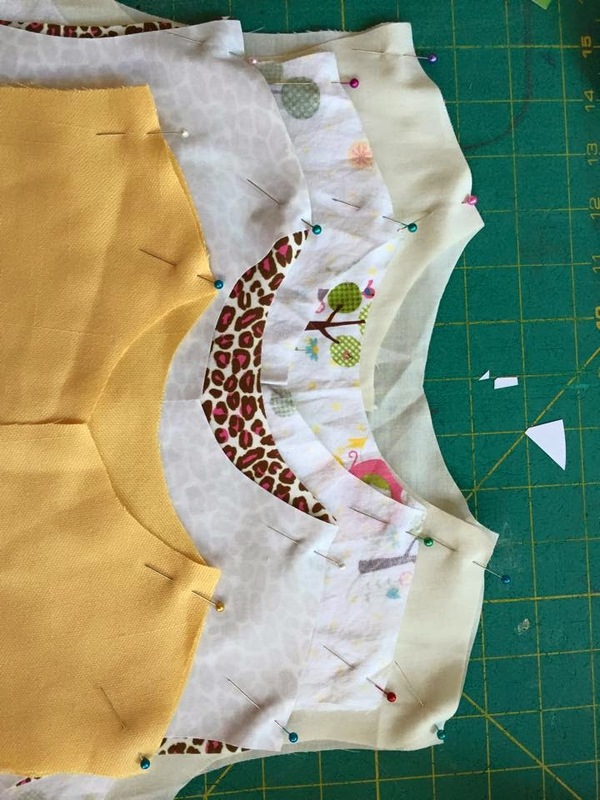 Something you will notice as you follow this project is that I almost never use mainstream patterns. I love independent designers, and I love PDF patterns. One reason for this is that on children's patterns, the sizes are typically nested rather than overlapping. 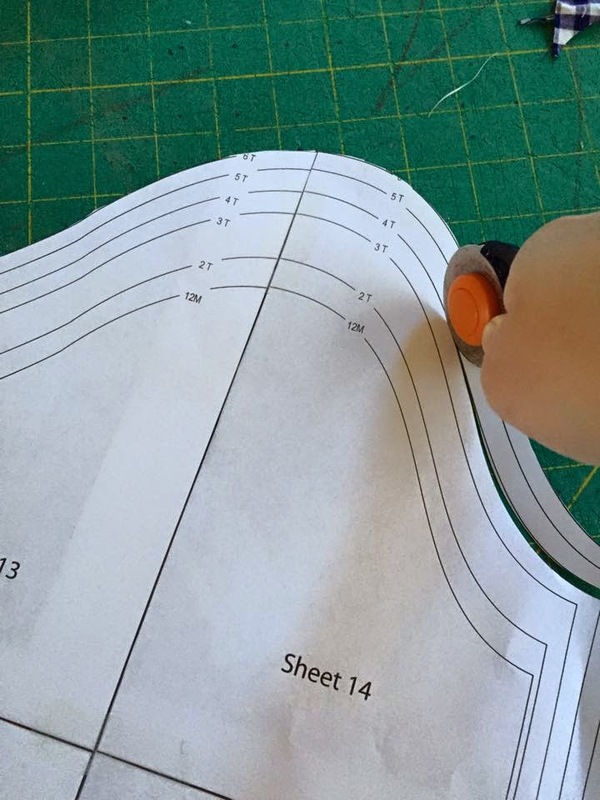 Because of this neat feature, I was able to cut out Holly's size 6 jacket first, then cut around the lines on the pattern to cut Tessa's size 4. Major time saver. I did not cut Holly's as written, because I thought that at six years old, she may be a little bit too mature for a pointed pixie hood. I cut her hood rounded instead of with the point. I made Tessa's exactly as written. I made the two jackets at the same time, and it was a quick sew. I got both done in a single afternoon with both Tessa and Declan (who is 15 months old and a VERY busy boy) hanging around. Its been a while since I've sewn any diapers, so I had forgotten what a total pain in the behind PUL is to sew without a teflon foot or a walking foot. But I'm lazy, and didn't feel like rooting through the messy closet looking for my walking foot for such a quick project, especially since sewing the laminated sides of the PUL parts was such a small part of it. 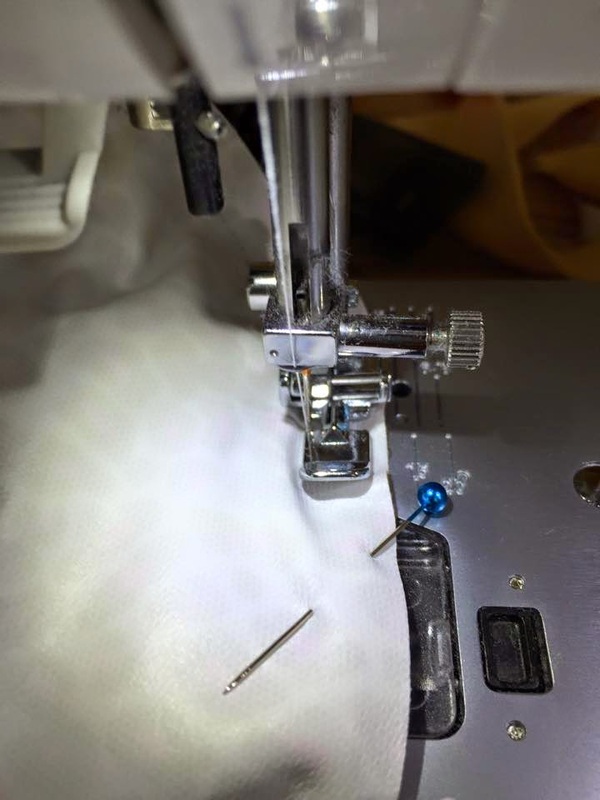 After ripping out a couple of stretched, messy seams and cursing just a little (a lot), I remembered that in a pinch, you can use a zipper foot to make sewing laminated fabrics a little easier. I'm a little bit obsessed with my sewing machine's embroidery functions. 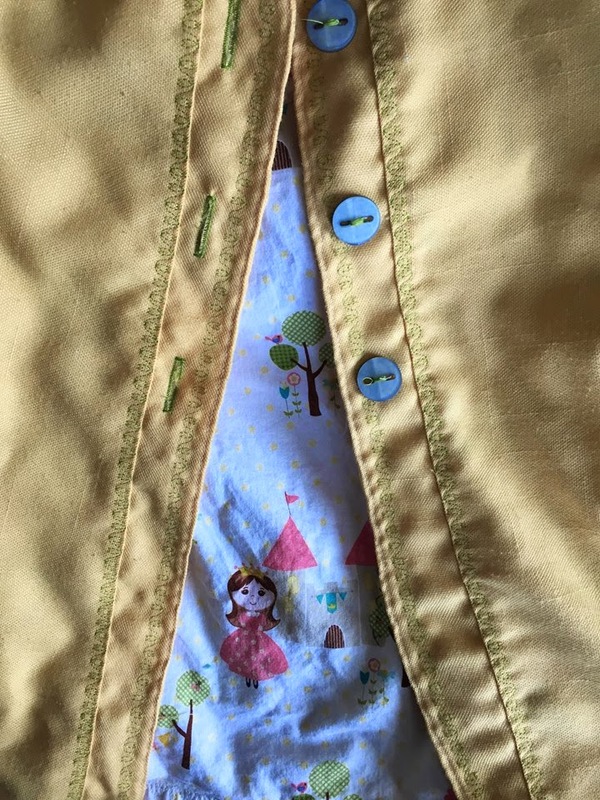 I topstitched Tessa's yellow jacket with green thread using an embroidery stitch that coordinated with the princess pattern in the lining fabric. It totally made the jacket. The fit of these jackets is a little on the big side. Not to the point that they are unable to wear them by any means. We should be able to use them with the sleeves rolled a bit for the windy, nippy days of early Spring and for wading through the crunchy fallen leaves in Autumn. Don't my girls look great?